Illuminart Launches Fractured Heart, An Innovative Instrument with Artistic Radiance - Connect Communications, Inc.
One of Illuminart’s current projects is Fractured Heart, an interactive performance instrument that can be played as a light harp, triggering unique music notes and fragments created by Gotye, whose single 'Somebody That I Used To Know' hit #1 single on the official Billboard Hot 100 chart in the US in April. Viewers standing in the sweet spot can trigger the music fragments and accompanying animations through movement of their arms in space, and with a little fun finesse, two people can “play” a piece together. The sculpture is designed to work as a standalone interactive or form part of a live performance. The two halves of the structure are independent and together form the shape of a heart. 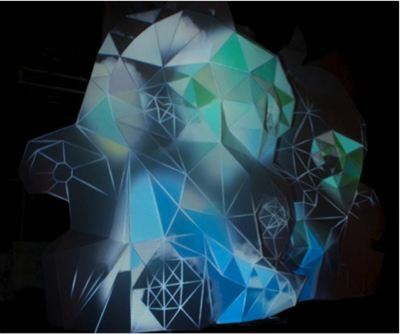 The projected images are precisely mapped to the fractured sculptural forms, creating illusions within the structure. The video content is precisely mapped to the shape and form of the translucent sculpture, with animations linked to each music note and fragment to form a composition that can be played with infinite variations. Fractured Heart incorporates video projectors, selected for their robustness and energy efficiency, remotely monitoring and scheduling, installed in a weatherproof custom made sculpture composed of 50% recycled materials. Illuminart® specialize in the creation of innovative live media arts projects of artistic radiance and lasting cultural significance to Australian communities. The Illuminart team, in collaborations with leading artists and innovators, explore new techniques for interactive mapped projection sculpture, architectural storytelling, and hybrid performance projects. Many of our projects involve stages of community engagement leading to large scale public presentation, with artistry, playfulness and meaningful narrative at the core of our work. A festival of lights, music, and ideas.